The Beaumont Estate is a distinctive hotel in Windsor. At the heart of Beaumont Estate, sits an 18th-century mansion, a chapel, 75 event spaces and a Georgian white house in 40 acres of parkland grounds. Following a multi-million-pound refurbishment, today you will find a wealth of these original features still intact along with a 21st-century style that ensures teambuilding activities and events are anything but usual. Serving great food from British suppliers, the new 1705 Restaurant & Bar is now open whilst the Executive Chef team create restaurant-quality food for a wide range of events. With some recently refurbished, bedrooms are modern and stylish and there are over 400 of them with luxury suites in The White House. 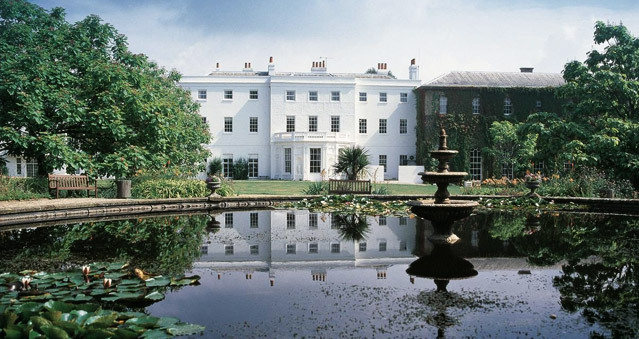 Whilst outside, Beaumont Estate has 44 acres of grounds complete with natural ponds and specially commissioned sculptures which create a relaxing space for guests to enjoy any team-bonding experience. Ideal for: The Killing, Around the World, Get in the Zone, Real Life Clu’Doo, Escape the Box, No Ordinary Quiz, Ipad Movie Making and many more. Location: Beaumont Estate is just 3 miles from Windsor, minutes from J13 of the M25 and 15 minutes from Heathrow. Egham station is also 3 miles away with fast connections to London Waterloo and Reading.